Art Geneva is already finished and we can say it was again a great edition. This year the art fair joined forces with the decorative arts thanks to a collaboration with the PAD (Pavillon des Arts et du Design), However, the art fair continues to build bridges between different disciplines by inviting new designers, such as Philippe Cramer, who, for his first show, presented a retrospective of his work. 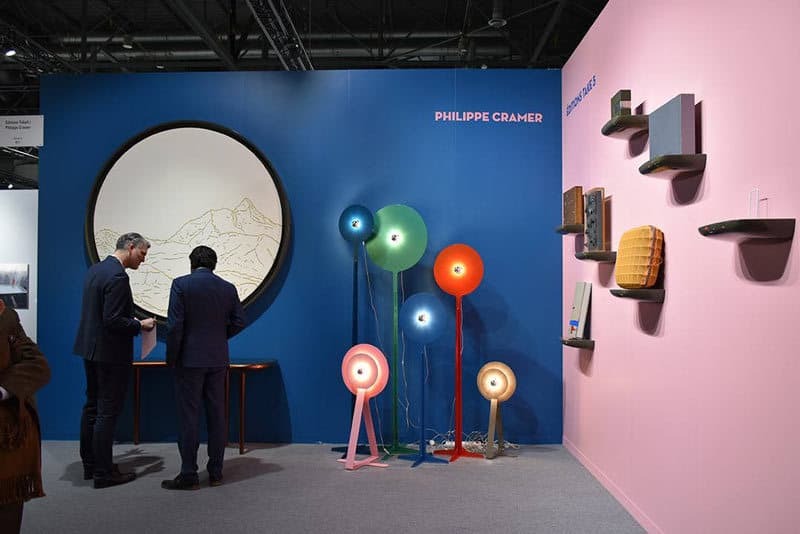 Philippe Cramer, From New York to Geneva: born for Design. What can we say about this Swiss-American artist? He was born in New York and after starting his studies in Switzerland, he lived in London where he obtained a Certificate in the History of Decorative Arts of the 19th and 20th Century. He did not stop there and got back to New York where graduated from Parson’s School of Design. With this solid and rich education in the pocket, he started his career with Paolo Roversi in Paris and even as product designer at the Museum of Modern Art in New York. 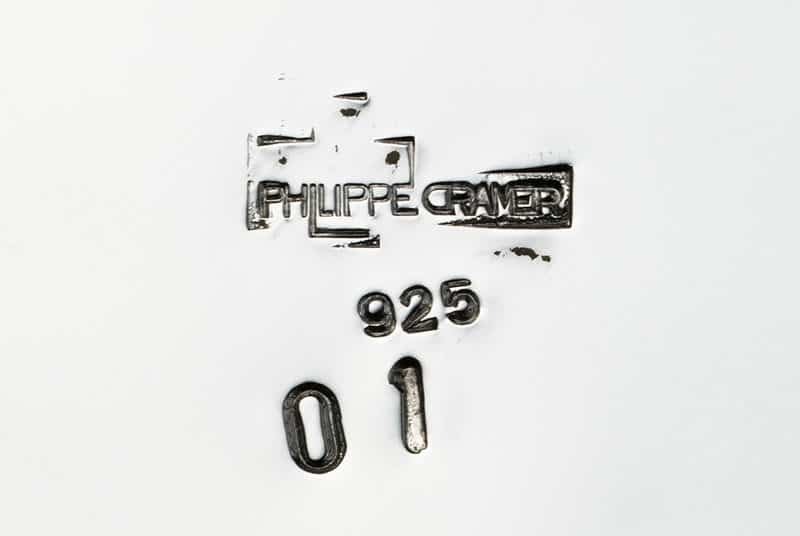 In 2001, Philippe created Cramer + Cramer, a company specialized in the production of exclusive furniture and home accessories under the Philippe Cramer name. Two years later, Philippe opened his showroom in Geneva’s Art District. As Creative Director of the company, Philippe designs collections of furniture, porcelain, silverware, crystal and jewelry. The company caters to collectors, offering numbered editions as well as the opportunity to commission projects and works on product design and interior design projects for third parties. In 2011, The Geneva Museum of Art and History gave him carte blanche in an exhibition entitled «L’Ornement Jamais». This ensemble has since been integrated in the permanent exhibition of the Museum and is now part of the Geneva state heritage collections. 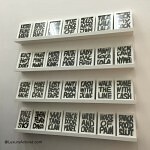 Philippe Cramer at Art Genève: Retrospective! This is not all. He also unveiled a new work called «Carats» in the form of a mural bench. 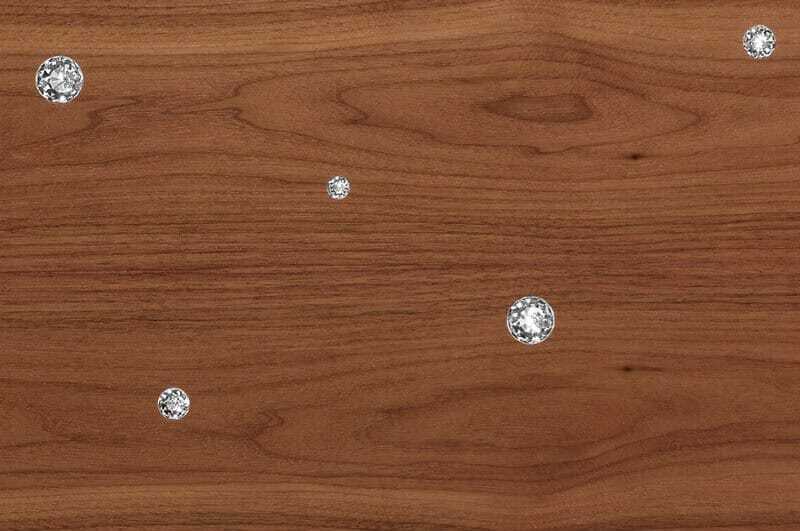 Contemporary design meets natural and rich materials of walnut wood decorated with crystals. 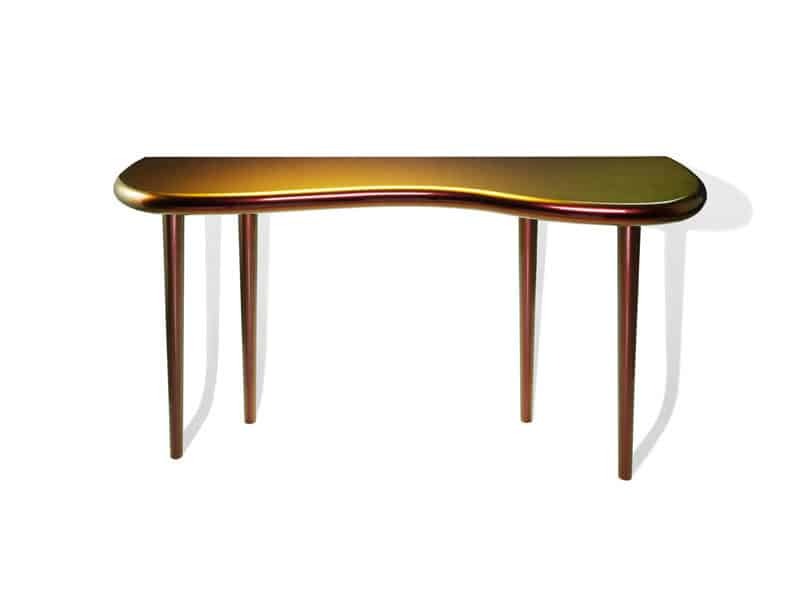 By searching the limits of design, Philippe Cramer innovated and used a crystal inlay technique, a true novelty in the field of Design. Magnificent. 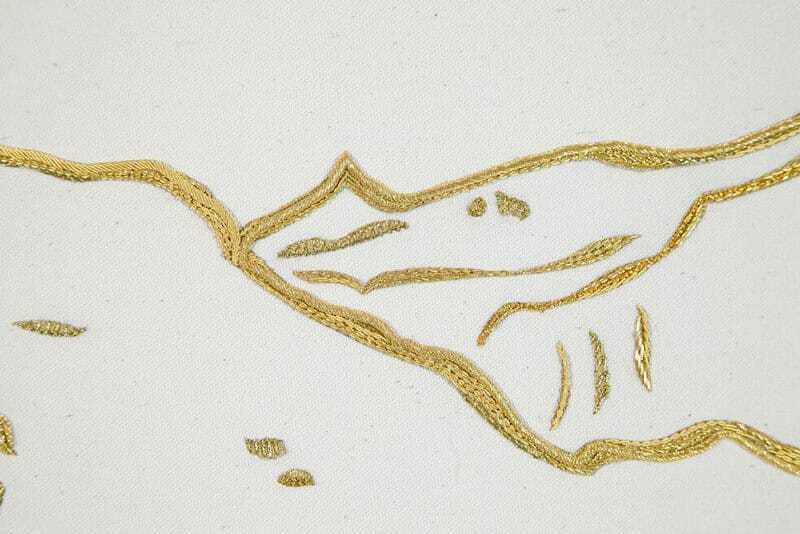 This work evokes luxury and poetry. It is done in many paradoxes. 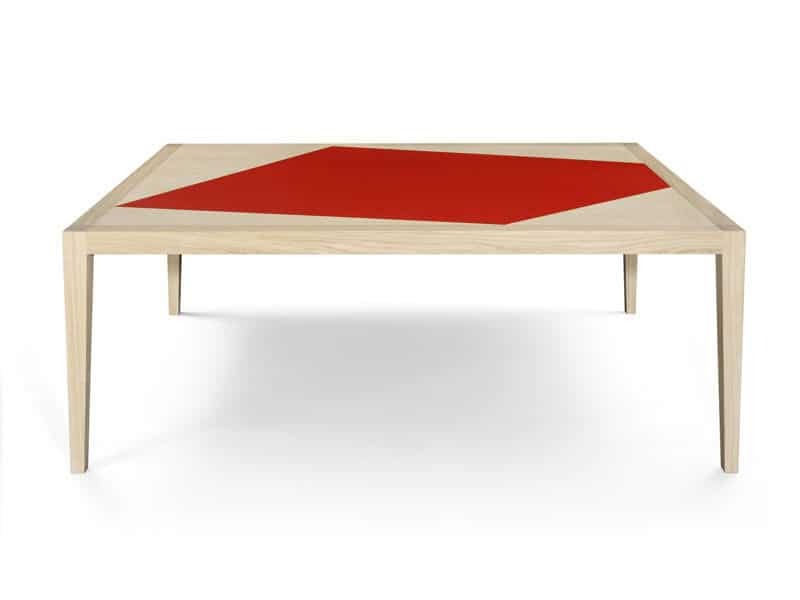 Inspired by a church bench, it triggers the eyes because of its minimal shape as well as a very balanced design. It is very strict and it is very sensual at the same time. The crystals translate a sky full of stars, show very geometric shapes and play with light and transparency. 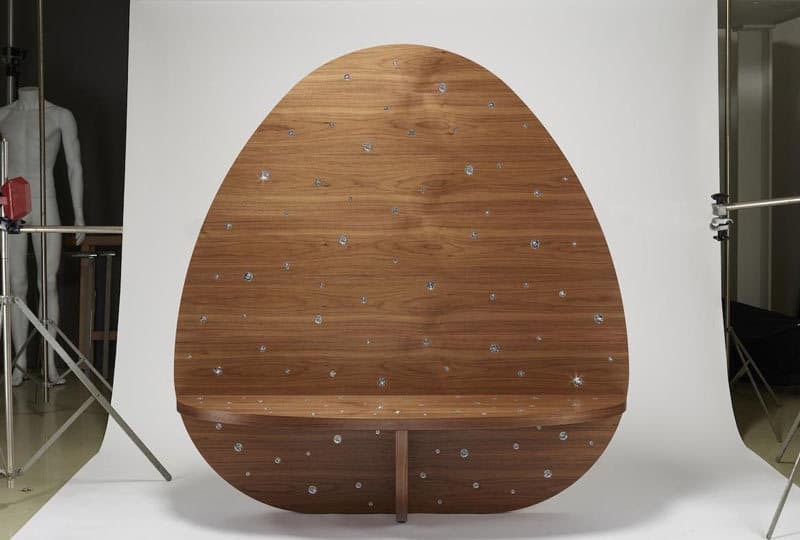 The wood and the overall shape of the bench represents a down to earth vision that contrasts with a celestial imagery of these crystal stars. 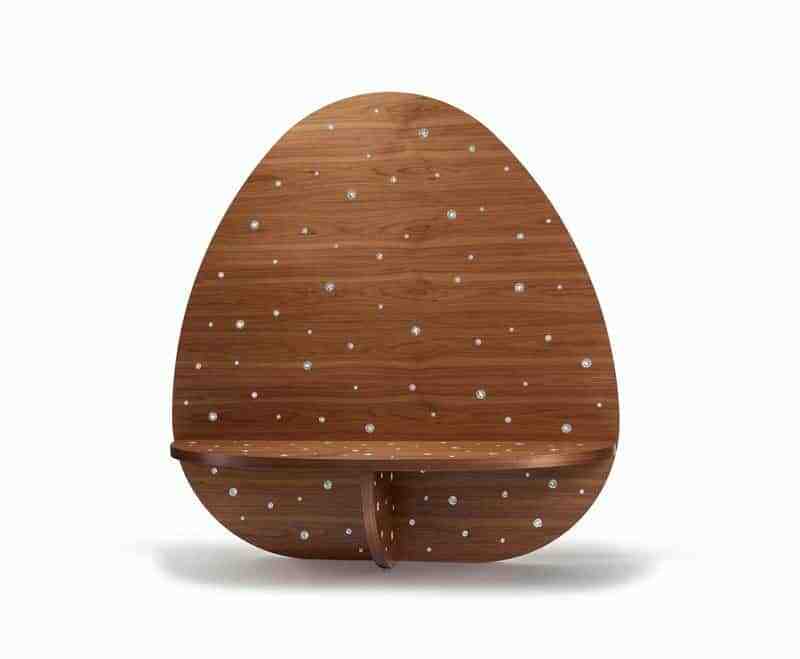 The minimalistic approach of this bench brings a feeling of lightness into a massive volume. Philippe Cramer has a very interesting approach of design. He plays with contrasts, reveal the beauty of natural materials and challenge your eyes with cutting edge design. Info sourced in the official communication release. Thanks to Corine from Kiss the Design in Lausanne for the information. All content is copyrighted with no reproduction rights available. Images are for illustration purposes only. 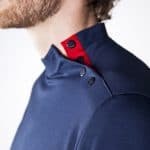 EMYUN, the elegant sport outfit designed in Switzerland. 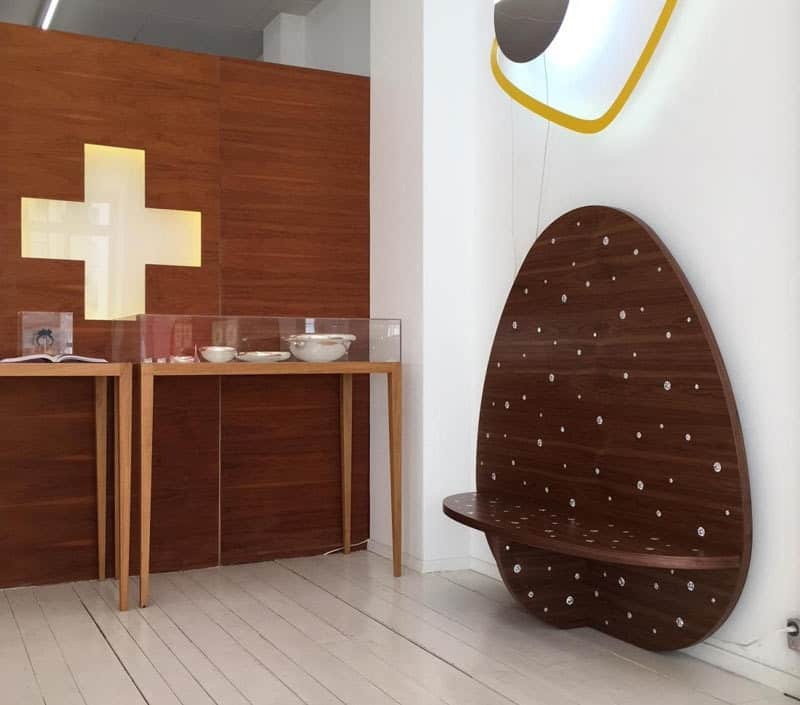 Kissthedesign gallery in Lausanne – Objectif Gare.